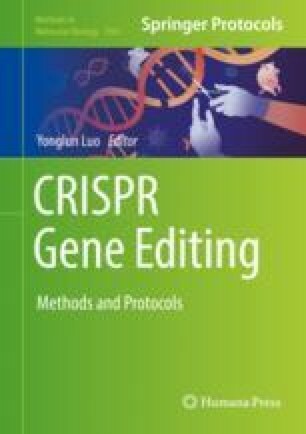 The emergence of CRISPR/Cas9 system as a precise and affordable method for genome editing has prompted its rapid adoption for the targeted integration of transgenes in Chinese hamster ovary (CHO) cells. Targeted gene integration allows the generation of stable cell lines with a controlled and predictable behavior, which is an important feature for the rational design of cell factories aimed at the large-scale production of recombinant proteins. Here we present the protocol for CRISPR/Cas9-mediated integration of a gene expression cassette into a specific genomic locus in CHO cells using homology-directed DNA repair.